I am the oldest of five girls. We are ages 23, 21, 19, 17, and nearly 11, meaning we have celebrated 90 birthdays in total. For almost every birthday, there was a birthday party. 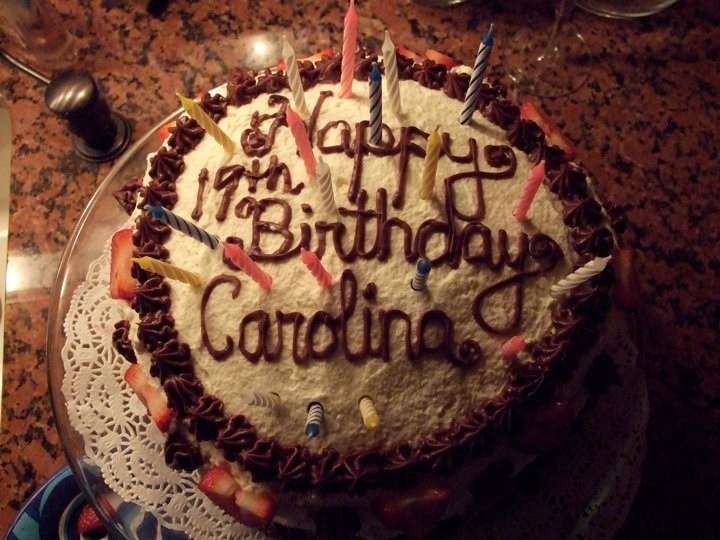 That means approximately two cakes per birthday—about 180 cakes in the span of 23 years. That’s an obscene number of cakes. Oh, plus cupcakes or cookies for school celebrations. I don’t even think I can calculate that. Since the five of our birthdays are in five different months (February, December, May, July, and March), our ways of celebrating differ greatly. 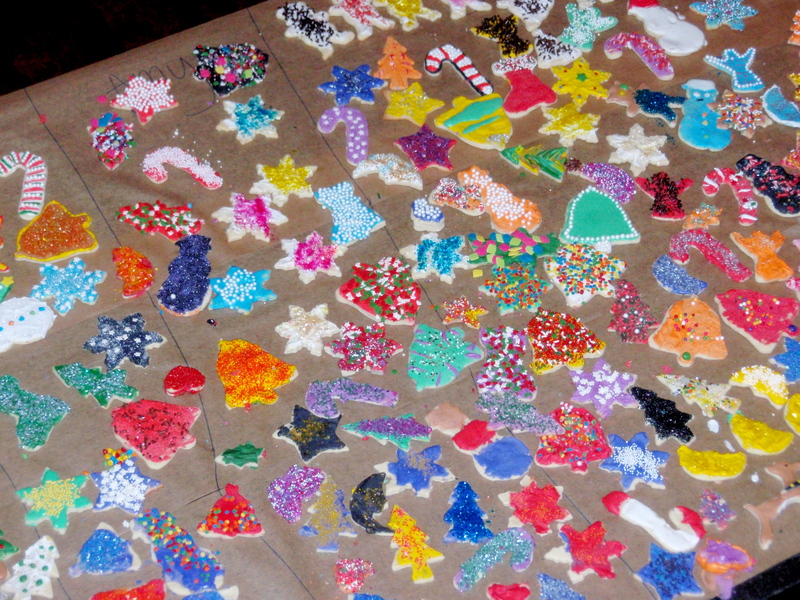 Katelyn’s birthday falls right after Christmas, and so she always has a cookie decorating party in our kitchen. Caroline, the spring baby, usually celebrates her birthday outside: treasure hunts, pool parties. The middle of summer lends itself well to Charlotte, whose celebrations have included backyard barbeques and afternoons at Huber Woods. Kristina has had every type of theme birthday known to man—Dora the Explorer, Disney, Easter—the list goes on. I liked doing different things for my birthday: a trip to New York, a blackjack party at my house during a snowstorm, or a weekend in Cape May. The five (or ten) cakes we collectively request to be present at our birthdays differ as much as how we celebrate. Taste of the cake, brand of cake, flavor of icing, color of decoration, type of filling, kind of fruit or candy for exterior decoration, writing on the cake: we each have our favorite combination. These sweet masterpieces came from one of three places: Crazees on River Road, Ye Old Pie Shoppe in Little Silver, or the handiwork of our parents. These were the cakes we grew up with; these were the cakes with which we were familiar. I always looked forward to Katelyn’s cookie dough ice cream cake from Crazees, strawberry shortcake for Caroline, Charlotte’s homemade ice cream cake (because she doesn’t like regular cake), and Kristina’s Dr. Seuss-esque cakes apt for a little girl. 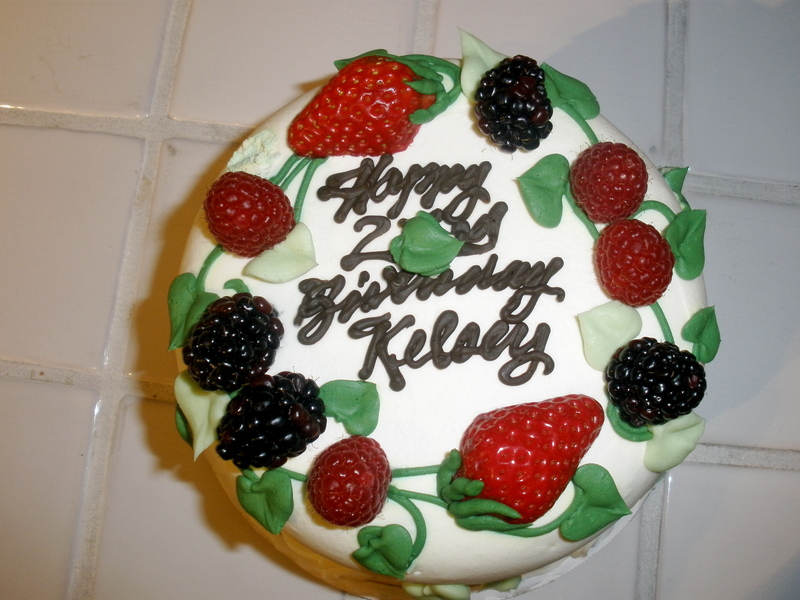 I usually had a strawberry and whipped cream cake from Ye Old Pie Shoppe for my birthday party. For my real birthday, my mom made a yellow cake with the leftover chocolate icing from a cake at our New Year’s Eve party. I rarely wavered from this tradition. I have spent the last seven of my birthdays between boarding school, college, and Europe. In those years, I never gave a second thought to the lack of my traditional cake or the lack of accessibility to one of those favorite cakes. I wasn’t home, so there was no way to get one of those cakes. It was a fact of life. 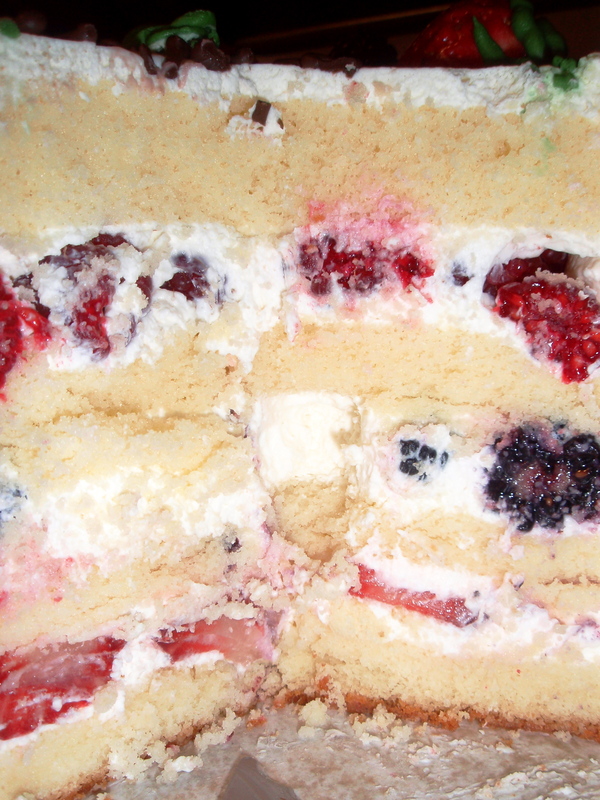 Two weeks before my birthday, it suddenly occurred to me that I wasn’t going to be around my Ward Avenue kitchen or the beloved bakery to have one of my favorite cakes. I panicked—I wasn’t sure what I was going to do. No dobos-iced cake? No strawberries and whipped cream? I became incredibly homesick in a matter of seconds. Although I now live in a city with four million people and probably just as many bakeries, that realization didn’t come to me right away. In fact, the research on these bakeries was quite daunting. Vegan options? Gluten-free cakes? Eighteen bakeries in one neighborhood? How the hell do you decide? Gone were the days of being restricted to three options of where to get my birthday cake. Since my Google and Yelp results got close to a zillion hits, I started to ask around. My friend Brandon is the King of All Things Sweet, so I thought he might have an answer. Not so much, so I asked my yoga instructor, Rebecca. Since she has kids, she seemed like she would be a great resource. That short blurb covers bakeries in a twenty-mile radius. Great, I thought. I’m never going to be able to narrow this down. Boom. That was it. I can’t explain why I was suddenly drawn to that name, but I knew that was the place that was going to do my 23rd birthday cake. The cake was a huge success. I somehow managed to shove a piece into my stomach after my amazing birthday dinner, and it fed my dad and me for breakfast and dessert for the next couple of days. 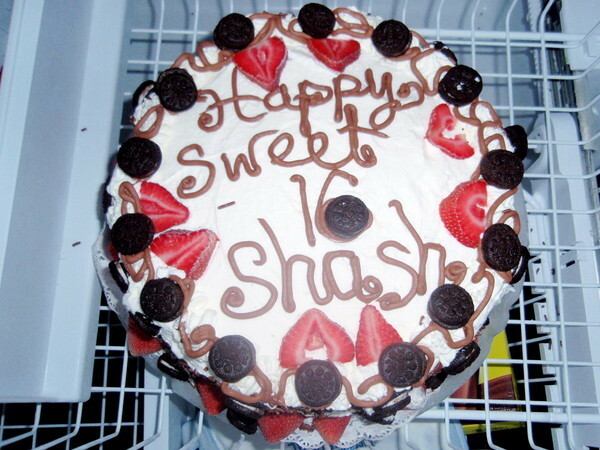 I ended up with a Ye Old Pie Shoppe-esque cake: triple berry whipped cream cake with chocolate ganache writing. Delightful. While I didn’t celebrate my birthday at home with my family or traditional cake, it was an adventure to find a new cake spot. I should probably do some research on the other thousands of bakeries in Los Angeles, but since Sweet Lady Jane was such a home run, I’m not going anywhere else for the next couple of birthdays. 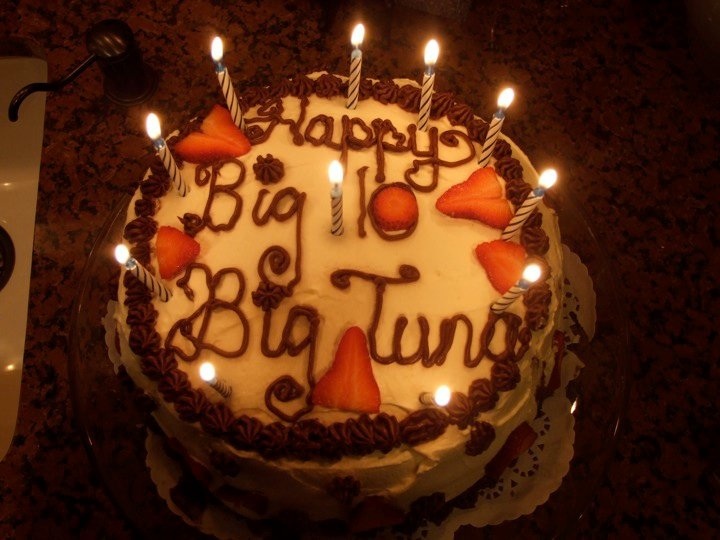 Everyone needs a birthday cake on their Birthday. It has been my distinguished honor to be the chief manufacturer of most of these cakes…some have been a challenge and some more successful than others. Remember the one you caught with your bare hands as the layers slid out of the refrigerator? Or the lopsided “cherry” cake Kristina requested for her 6th birthday? How about Charlotte’s 1st ice cream made up of 4 gallons of ice cream in 100 degree weather? The end results have all been beautiful to the eye, delicious to the palette and to make for my 5 beautiful daughters…well….. a piece of cake.